Thanks to Uni Learning, now you're prepared for the moment when your kids ask you that hard and timeless question you've been dreading: "How does the Internet work?" A Crazy Possibility That Ancient Romans Could've Made Computers! Speaking of ancient mysteries -- how might an ancient Roman have gone about building a digital computer? This post works through the knowledge and materials the Roman Empire might have used to build a working computer. It would've needed several very early versions a few modern technologies, such as Hero's steam engine and the Baghdad Battery I recommend you read this if you like history even a little bit. 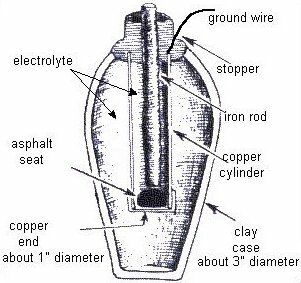 The Baghdad battery (if it really was one) was a freakin' battery in a pot, and pre-dated Volta's first battery by a millennium. The security firm FireEye has found a new Zero Day exploit being used on Java in the wild. Oracle security engineers are getting a workout. 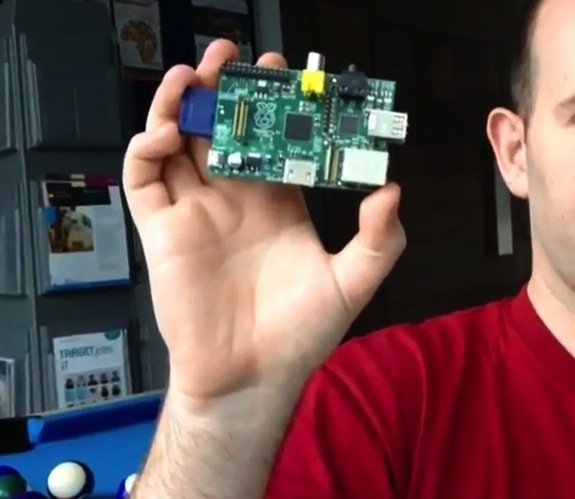 Forgive my Lil' Wayne reference and marvel at the revolution that Raspberry Pi has begun. THIS is my nerd credential! The Lisp dialect for the JVM is now in version 1.5. I didn't see much about new features other than what's on this Jira. Check out this fun and addictive game from Cisco that will help drill you on binary.